Pom poms are small round balls of yarn, string, ribbon or fabric. Pom poms can be attached to gloves to add style and decoration or to create a toy for a child. Attach multiple pom poms around a glove's wrist cuff, a single pom pom on the glove's back or a grouping of pom poms on one side. 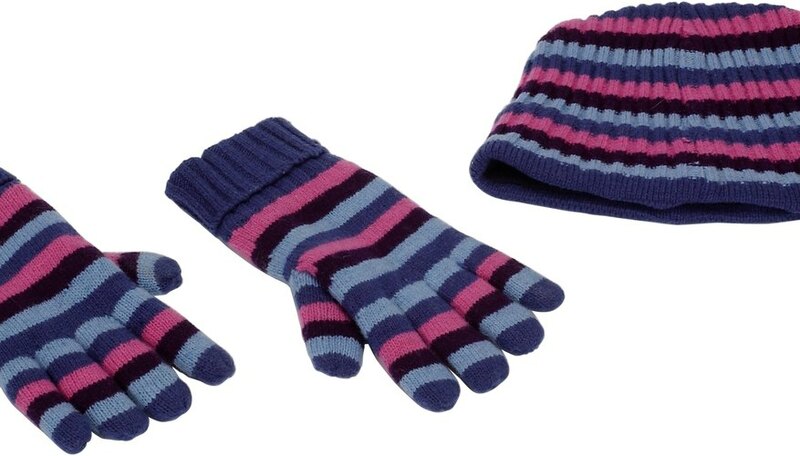 Add pom poms to the tip of each finger to create spirit gloves for children. Hand make pom poms that coordinate with the gloves colors. Cut a rectangle from a piece of cardboard using a pair of scissors. Cut the rectangle as wide as you want the pom pom to be. Wind yarn around the center of the cardboard until you have a thick ring around the card. Make a thicker ring of yarn for dense pom poms and a thinner ring for less dense pom poms. Cut the yarn leaving a 10-inch tail. Thread a tapestry needle onto the end of the loose tail of yarn. Weave the needle in and out of the center of the yarn strings on one side of the cardboard. Pull the needle completely through, bringing the full tail through as well. Weave the needle through the yarn on the opposite side of the cardboard and pull it completely through. Slide the cardboard rectangle from out of the center of the yarn. Pull on the needle to tighten the tail around the yarn's center. Wrap the tail tightly around the center of the yarn three or four times. Push the needle underneath the tail wrapped around the center to create a loop. Stick the needle through the loop and pull to create a knot. Tie a second knot in the same manner. Cut the loops of yarn in the center with a pair of scissors to create the strings of the pom pom. Trim around the ends of the loose yarns to round the pom pom's overall shape. Decide where the pom pom will be attached on the glove. Push the needle through that point on the gloves surface. Pull the needle through the material of the glove until the pom pom is sitting snugly against its surface. Push the needle back through the glove's material, pulling it completely through. Push the needle through the bottom of the pom pom's center. Make a few more stitches by pushing the needle through to the inside of the glove, back out and through the center of the pom pom. End with the needle and tail inside the glove. Slip the needle underneath the stitches to form a loop and pull the needle through the loop to form a knot. Tie a second knot and clip the tail of the thread to shorten it.